The state Department of Licensing is getting hit with calls from King, Pierce and Snohomish counties about increased car-tab fees that are just starting to go into effect following the passage of Sound Transit 3. 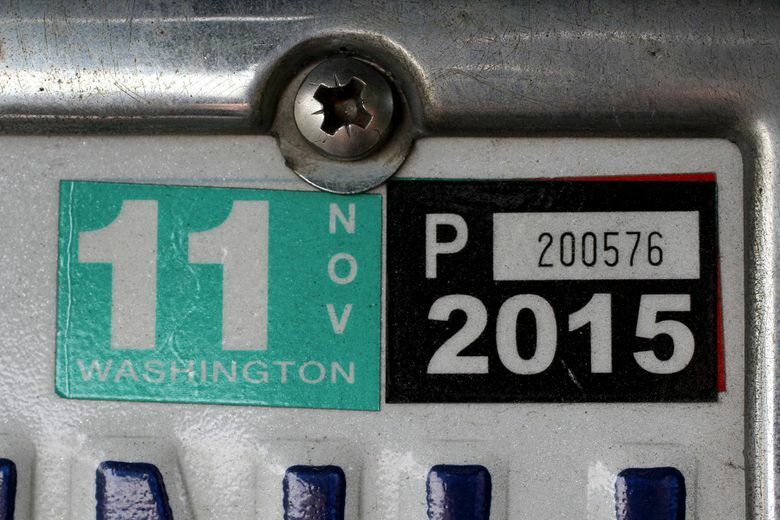 Every year Washington residents have to pay their car-tab fees. And every year, 30 to 60 days before the tabs expire, the state Department of Licensing sends a “friendly reminder” that the tab fees are coming due. For a lot of drivers in King, Pierce and Snohomish counties, this year’s renewal notices are coming as quite a shock. The notices going out within the last month or so are the first to include the car-tab tax increase from Sound Transit 3, which more than tripled the existing fee that had been in place since the Sound Move transportation levy passed in 1996. For a $10,000 car, Sound Transit’s car-tab fee went from $30 a year to $110 a year. Combined with the smorgasbord of other fees that get rolled into renewing car tabs — the county filing fee, the state weight fee, transportation benefit district fees, etc. — some drivers are paying a lot more than they did a year ago. Brad Benfield, a spokesman for the state Department of Licensing, said the agency has been getting more calls than normal from drivers in the ST3 area, with sticker shock from their car-tab fees. Benfield said that DOL’s statewide call center takes about 8,000 calls per week. The last week of January there were 96 calls about ST3 tax increases, he said, emphasizing that numbers come from hand tally sheets done to estimate trends and probably underestimate the true number of calls. Last week that number had more than tripled, to 322 calls about ST3, Benfield said. Numbers for this week were not yet available. “The numbers are not super reliable, but they do indicate trends,” he said. A customer-service representative at DOL’s call center estimated that about half of their calls were currently about ST3. Voters handily passed ST3 last year, with about 54 percent of the vote, committing to at least three decades of car-tab, property-tax and sales-tax increases in exchange for a massive expansion of light rail, Sounder trains, park-and-ride spaces and bus-rapid transit over the next 25 years. ST3’s property tax increases, $25 per $100,000 home value, went into effect Jan. 1, and King County began sending out bills this week. The ST3 sales-tax bump, 50 cents per $100 purchase, goes into effect April 1. The new car-tab fees apply to tabs that expire after March 1. That means renewal notices for those tabs began going out in January and have been getting more and more notice as deadlines for renewing approach. Cara Van Doren, a business consultant who lives in Seattle’s Mount Baker neighborhood, is one of the thousands who has called about the increase. A year ago she paid $210.75 to renew the tabs on her 2011 Volvo. This year her bill is $396.75.